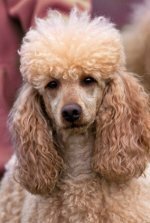 If you decide dog kennel boarding your poodle and not flying with her, check with your local American Boarding Kennel Association for a list of accredited kennels near you. Then visit them and make sure they're clean, the gates have no sharp edges, and the water is clean. If you don't want your pet around other dogs, ask the dog boarding kennels how they prevent this. 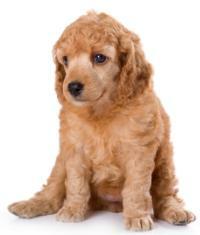 Ask if they will give your dog his medications, find out what papers they need to board him, and ask what happens if your poodle gets sick. Do they call a vet or should you give them your vet's number? Ask how much of an advance notice they need in order to secure a spot for your dog. Check with the kennel as some need proof that your pet has had all of his vaccinations before they will allow him to stay there. Kennels keep your dog safe. Some will groom your poodle. A kennel stay may be cheaper than getting a pet sitter but your dog will be in a strange place, won't get a lot of attention and may get homesick. If boarding makes you uncomfortable, have a family member, trusted neighbor or friend feed, exercise and water your dog a few times a day. In home sitters are best as poodles like the company, but if you can't find an in-house sitter, your pooch will be happy with several visits a day. And she'll be in familiar surroundings, unlike a kennel. Putting your dog in a kennel may be a good option if you don't want to take her on vacation with you. Kennels can be a vacation away from home for your poodle if you take the time to find a kennel that makes both you and your pet comfortable.